COPENHAGEN, Aug. 29, 2014 - Wang Yihan of China falls down during the Women's Singles Round 3 match against Carolina Marin of Spain on Day 4 of Li Ning BWF World Championships 2014 at Ballerup Super Arena in Copenhagen, Denmark on Aug. 28, 2014. Wang Yihan lost 0-2. Carolina Marin of Spain returns the shuttle during the Women's Singles Round 3 match against Wang Yihan of China on Day 4 of Li Ning BWF World Championships 2014 at Ballerup Super Arena in Copenhagen, Denmark on Aug. 28, 2014. Carolina Marin won 2-0. 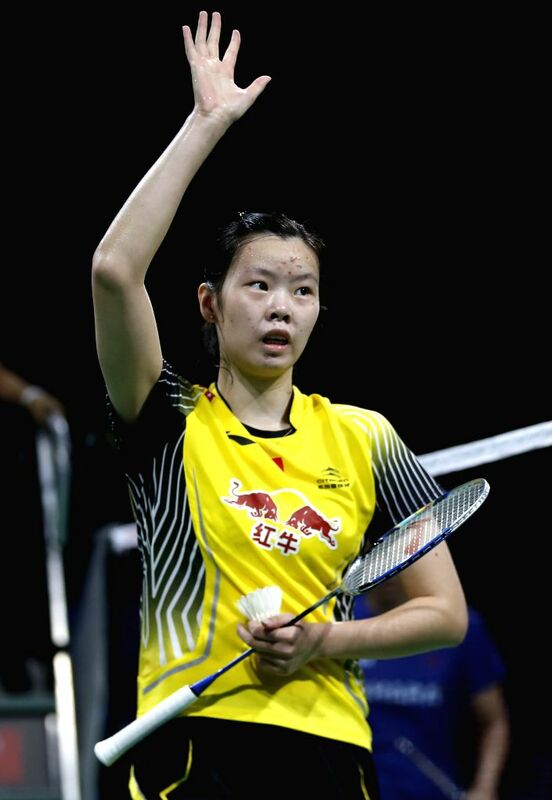 Li Xuerui greets spectators after the Women's Singles Quarter Finals match against Saina Nehwal of India on Day 5 of Li Ning BWF World Championships 2014 at Ballerup Super Arena in Copenhagen, Denmark on Aug 29, 2014. Li Xuerui won 2-0(21-15, 21-15). 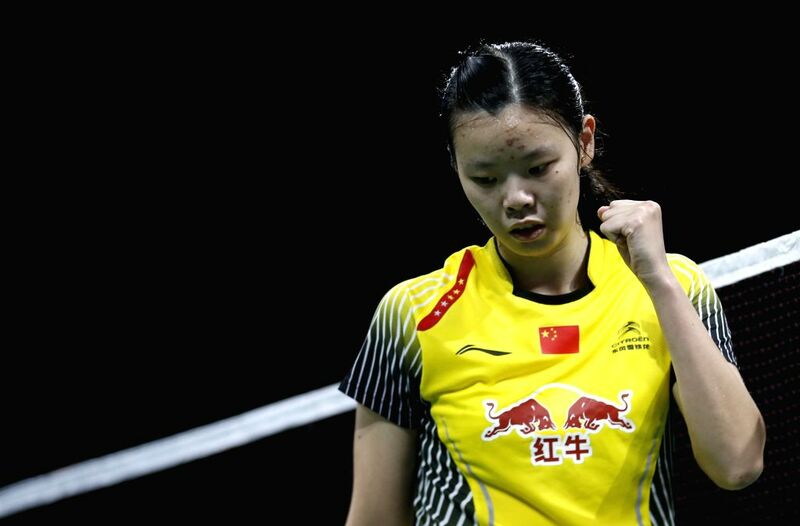 Li Xuerui celebrates during the Women's Singles Quarter Finals match against Saina Nehwal of India on Day 5 of Li Ning BWF World Championships 2014 at Ballerup Super Arena in Copenhagen, Denmark on Aug 29, 2014. Li Xuerui won 2-0 (21-15, 21-15). Chen Long of China returns the shuttle during the Men's Singles Round 3 match against Srikanth K. of India on Day 4 of Li Ning BWF World Championships 2014 at Ballerup Super Arena in Copenhagen, Denmark on Aug. 28, 2014. 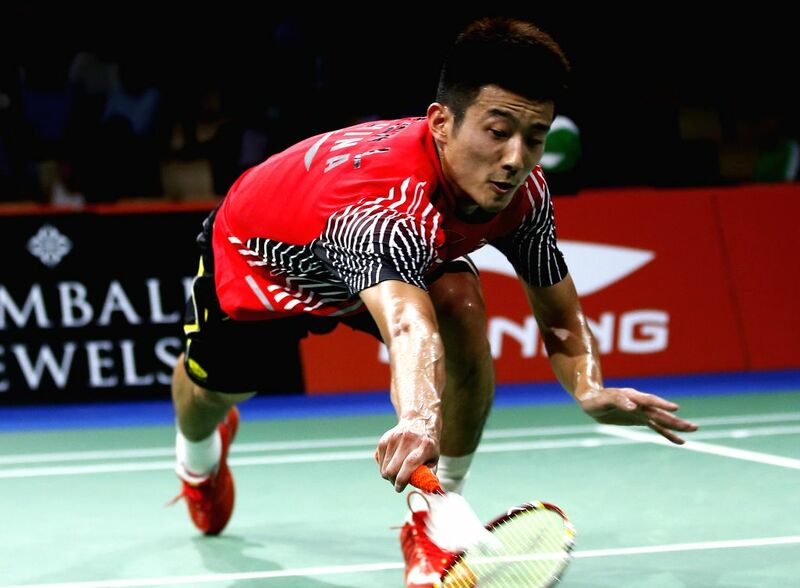 Chen Long won 2-0. Chris Adcock(R) and Gabrielle Adcock of England return the shuttle during the Mixed Doubles Round 3 match against Liu Cheng and Bao Yixin of China on Day 4 of Li Ning BWF World Championships 2014 at Ballerup Super Arena in Copenhagen, Denmark on Aug 28, 2014. Chris Adcock and Gabrielle Adcock lost 0-2. 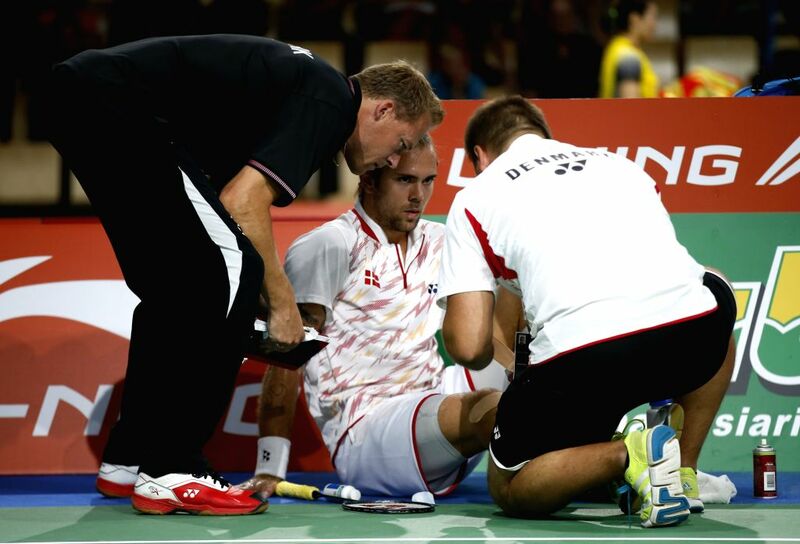 Jan O Jorgensen of Denmark receives medical treatment after the first set of the Men's Singles Round 3 match against Chou Tien Chen of Chinese Taipei on Day 4 of Li Ning BWF World Championships 2014 at Ballerup Super Arena in Copenhagen, Denmark on Aug. 28, 2014. Jan O Jorgensen withdrew the match in the second set with a knee injury.